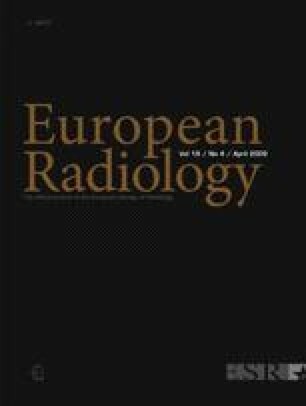 An electromagnetic-based tracking and navigation system was evaluated for interventional radiology. The electromagnetic tracking system (CAPPA IRAD EMT, CASinnovations, Erlangen, Germany) was used for real-time monitoring of punctures of the lumbar facet joints and intervertebral disks in a spine phantom, three pig cadavers and three anaesthesized pigs. Therefore, pre-interventional computed tomography (CT) datasets were transferred to the navigation system and puncture trajectories were planned. A coaxial needle was advanced along the trajectories while the position of the needle tip was monitored in real time. After puncture tracts were marked with pieces of wire another CT examination was performed and distances between wires and anatomical targets were measured. Performing punctures of the facet joints mean needle positioning errors were 0.4 ± 0.8 mm in the spine phantom, 2.8 ± 2.1 mm ex vivo and 3.0 ± 2.0 mm in vivo with mean length of the puncture tract of 54.0 ± 10.4 mm (phantom), 51.6 ± 12.6 mm (ex vivo) and 50.9 ± 17.6 mm (in vivo). At first attempt, intervertebral discs were successfully punctured in 15/15 in the phantom study, in 12/15 in the ex-vivo study and 14/15 in the in-vivo study, respectively. Immobilization of the patient and optimal positioning of the field generator are essential to achieve a high accuracy of needle placement in a clinical CT setting. This work has been funded in part by the German Ministry for Education and Research (BMBF) in the framework of the OrthoMIT project under grant no. 01EQ0402.